Poster of Sara Ali Khan and Sushant Singh Rajput‘s movie Kedarnath is finally out and it is all sorts of interesting. The movie will release on December 7 before Ranveer Singh‘s Simmba which is coming out in the same month on 28th. Teaser of the movie will be out on 12 pm, Tuesday. 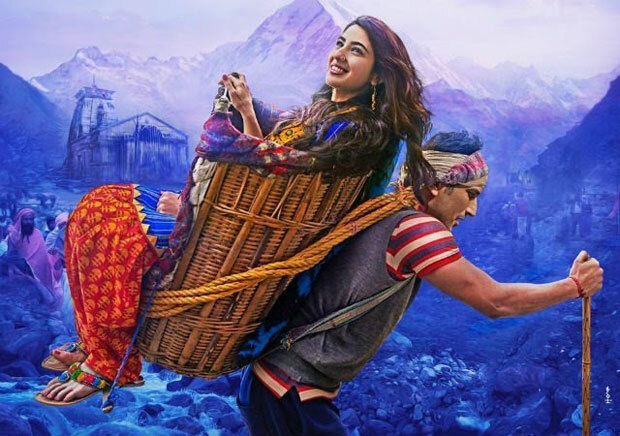 The poster of Kedarnath shows Sushant Singh Rajput carrying Sara along the treacherous mountain ranges. The movie revolves around a love story between the leads against the backdrop of Uttarakhand floods. Sushant is playing a Pithoo, who is a tourist guide while Sara is the pilgrim. Produced by Ronnie Screwvala and Pragya Kapoor under the film production banners of RSVP and Guy in the Sky Pictures, the movie was supposed to be released on November 30 but due to some issues with the makers, it was pushed forward.